Iris Gillon of IGMC is an expert at handling every aspect of complete wedding planning and event production. Iris Gillon is also an expert at design of all kinds of events from the earliest stages to completion. Iris Gillon, or an IGMC consultant can help you create and manifest a concept of wedding and event magic specifically directed by YOU! 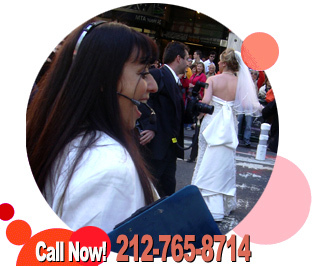 We are here to meet a few or all of your party, wedding and special events needs. From the selection of the location, the gown, the lighting, flowers, band, musical entertainment of all kinds, photography, video, travel, hotel arrangements, and more... you name it, Iris Gillon and IGMC can handle it, and take the work out of your party and put the fun back in your day; for YOU!